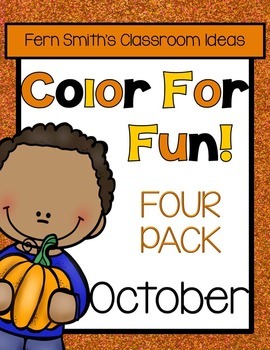 Color For Fun Bats and Spiders Coloring Pages Perfect for October - Fern Smith's Classroom Ideas! 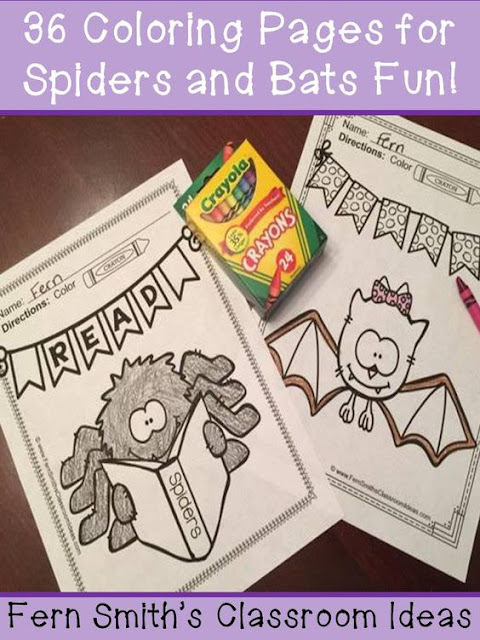 Color For Fun - Bats and Spider - Coloring Pages! 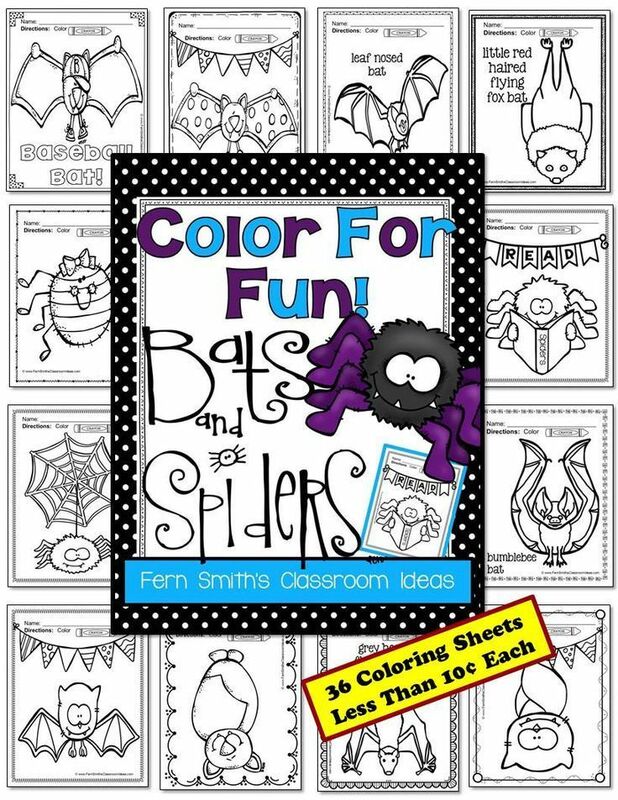 Your Students will ADORE these 36 Coloring Book Pages for Spiders and Bats - Color For Fun Printable Coloring Pages! Add it to your plans to compliment any October Bats and Spiders Unit! 36 Coloring Book Pages for Spiders and Bat Fun! Perfect for bulletin boards, indoor recess, rewards, party treats, fine motor skills, morning work, emergency sub tubs, creative writing centers, story starters and more! Fun for Your Classroom Students or Personal Children! Free Reading Spider Fun Printable Coloring Page in the Preview Download! I've included cute and comical, like the spider reading about spiders and I've included realistic bats and their proper scientific names. * Use as morning work to work on fine motor skills. * Place at a center to work on fine motor skills. * Staple one or more pages into your weekly homework packet for a little fun and joy! * PERFECT for INDOOR RECESS! * Use as a reward for the weekly homework being turned in. * Use as a story starter. * Use on Fun Friday if everyone finished their work. * Staple one page into your weekly homework packet for a little fun and joy! 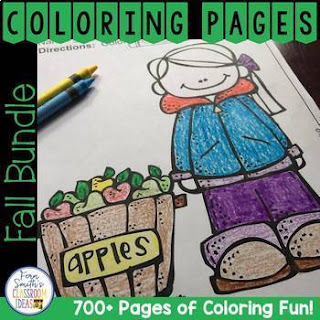 * Staple 5 to 10 pages together for a treasure box coloring book. The possibilities are endless! Print all the pages and bind together for your students for a literacy center writing book or science center. The post Color For Fun Bats and Spiders Coloring Pages first appeared on Fern SMith's Classroom Ideas.